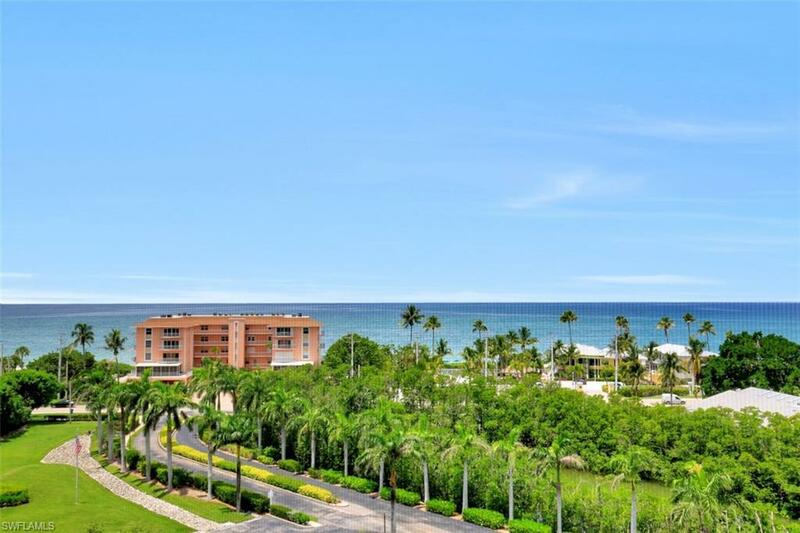 Beautiful 7th floor unit offers western exposure with expansive views of the Gulf, as well as Beach and Bay views from every window and the lanai. 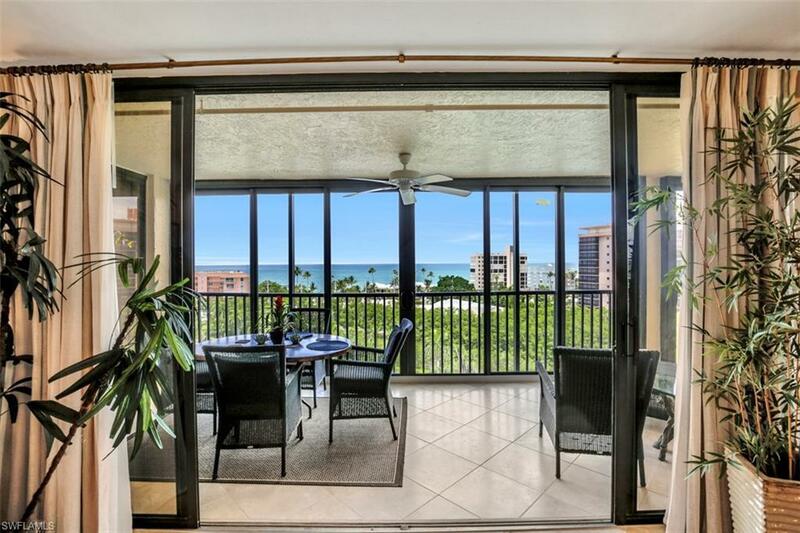 Unit was fully renovated in 2015, including tile flooring throughout unit and lanai; new stainless steel appliances, custom cabinets, granite countertops and custom lighting in kitchen. Both bath rooms remodeled to custom specifications sparing no expense. Other upgraged items include HVAC, water heater, lighting, interior doors, electrical and much more. Note: the lanai in this unit has been entirely glassed-in - open the sliders that store in a pocket for controllable air-flow throughout the entire unit, or close the sliders to make an additional air conditioned "room". Unit is being offered tastefully and fully furnished turn-key. Bay Harbor Club community offers amenities that include deeded beach access; private boat docks; tennis; pickle ball; shuffle board; pool and 2 spas and club house. 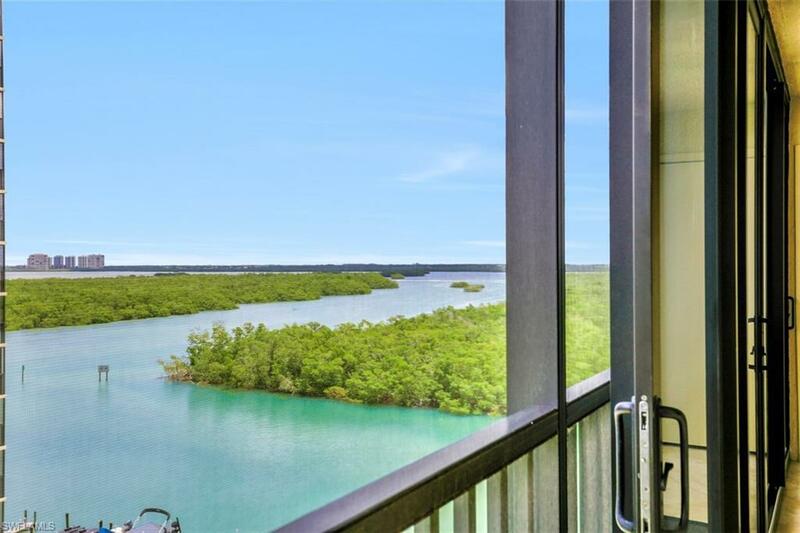 This could be your own private place in paradise - so, call your agent today to schedule a showing. Listing courtesy of Aron Hubers of Sancap Gateway Realty. © 2019 Florida Gulf Coast Multiple Listing Service, Inc. All rights reserved. The data relating to real estate for sale or lease on this web site comes in part from FGCMLS. Data deemed reliable but not guaranteed.IDX information is provided exclusively for consumers' personal, non-commercial use and may not be used for any purpose other than to identify prospective properties consumers may be interested in purchasing. Information is deemed reliable but is not guaranteed accurate by the MLS or Diamond Coastal Group at Premiere Plus Realty. Data last updated 2019-04-23T18:22:22.483. The data relating to real estate for sale on this limited electronic display come in part from the Broker Reciprocity Program (BR Program) of M.L.S. 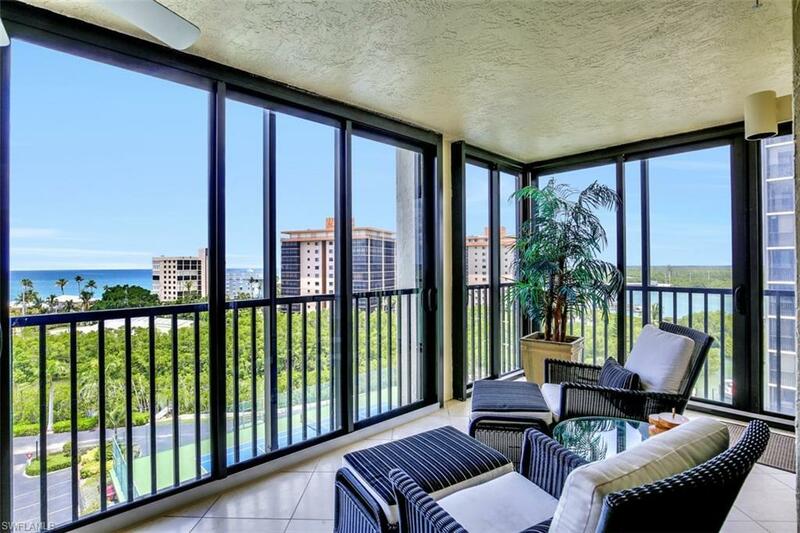 of Naples, Inc. Properties listed with brokerage firms other than Diamond Coastal Group at Premiere Plus Realty are marked with the BR Program Icon or the BR House Icon and detailed information about them includes the name of the Listing Brokers. The properties displayed may not be all the properties available through the BR Program. The accuracy of this information is not warranted or guaranteed. This information should be independently verified if any person intends to engage in a transaction in reliance upon it. Data last updated 2019-04-23T18:25:11.88. Some properties that appear for sale on this website may no longer be available. For the most current information, contact Diamond Coastal Group at Premiere Plus Realty, 239-300-1427, . Licensed in the State of Florida. The data relating to real estate for sale displayed on this Website comes in part from the Multiple Listing Service of the Bonita Springs-Estero Association of REALTORS®, Inc., under License No. 3035763. Properties displayed on this Website include properties listed with brokerage firms other than Diamond Coastal Group at Premiere Plus Realty. Detailed information about such properties includes the name of the brokerage firm with which the seller has listed the property. The properties displayed may not be all the properties listed with brokerage firms participating in the Bonita Springs-Estero Association of REALTORS® Multiple Listing Service, or contained in the database compilation of the Bonita Springs-Estero Association of REALTORS® Multiple Listing Service. Data last updated 2019-04-23T18:28:18.013.